A little gem found in one of my favourite sites, archive.org is The Story of Dundas: Being a History of the. County of Dundas from 1784 to 1904 by J. Smith Carter, published in 1905. Especially useful are the mini biographies found in the appendixes, and a nice plus are the many photographs of early settlers and of the professionals — doctors, dentists etc, in the county. 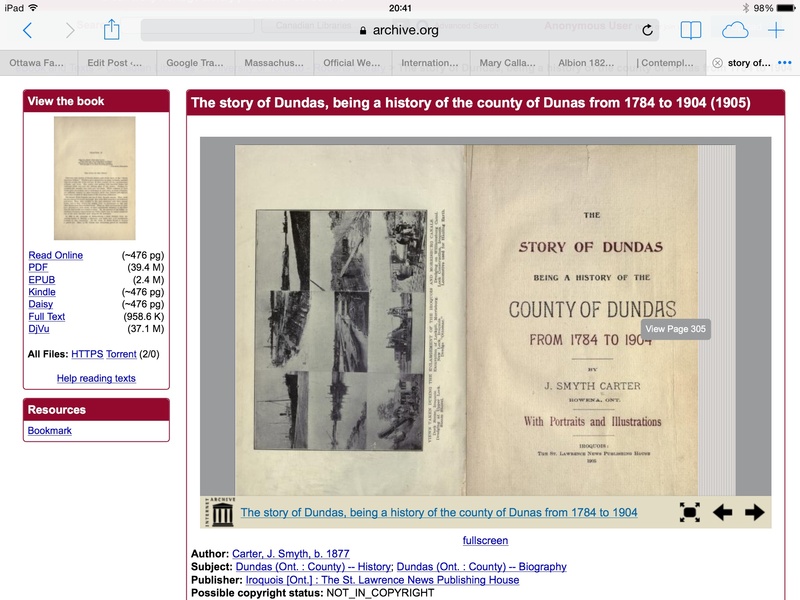 If you’ve got Dundas ancestors, take a look here and download a copy in a variety of formats.